Flexera Software's comprehensive suite of Application Usage Management solutions - from installation and licensing, entitlement management and delivery to application readiness and software license optimization - uniquely meets the needs of application producers and their customers by delivering continuous compliance, optimized usage and maximized value. Our innovative solutions have enabled us to serve over 80,000 customers. 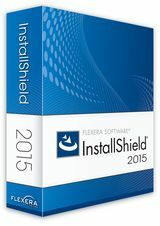 Flexera Software traces its roots to 1987 and the introduction of InstallShield, which went on to become the global leader in software installation tools for Windows developers. Since that time, Flexera Software has continued to deliver innovative solutions to software producers, intelligent device manufacturers, enterprises and governments while complementing these innovations with the acquisition of market-leading solutions that broaden the value we're able to deliver our customers. Today, Flexera Software is a multinational company with headquarters in Itasca, Illinois and offices throughout the US, Europe and Asia-Pacific. InstallShield is the world's leading Windows installer development solution. InstallShield is designed to enable development teams to be more agile, collaborative and flexible when building reliable InstallScript and Windows Installer (MSI) installations for PCs, servers, Web and virtual applications. InstallShield is the only software installer that can directly convert MSIs to Microsoft App-V virtual packages. New opportunities and fast-paced change continue to pervade the technology marketplace. To keep up, application producers need to adapt quickly, get to market faster, and deliver a seamless, contemporary customer experience. The global de facto standard on more than 500 million PCs and servers, InstallShield is a strategic software installation development solution designed for traditional and agile development teams and their Windows and virtualized installation requirements. InstallShield includes automated tools to productize, install, and bundle software in application virtualization and traditional EXE and MSI formats. Software customers are also adapting to the new technology landscape. To support this transition, InstallShield continues to invest in providing software developers with support for the latest desktop computing technologies, and unique solutions that simplify the deployment of web/server applications to cloud, virtual, and traditional environments. Windows 10 Ready – Confidently build installations that support the latest Windows releases, including Windows 10, Windows 8.1 and Windows Server 2012 R2. InstallShield can also build pure 64-bit MSIs to support Windows Server® Core configurations where WoW64 may be disabled. Microsoft® Visual Studio® Integration – Integrate InstallShield 2015 with the latest Visual Studio releases, including Visual Studio 2015. When integrated with Visual Studio and MSBuild, InstallShield can add project output groups to your installation and integrate into your source control and solution build process. Support Latest Microsoft Certificate Requirements – Be prepared for Microsoft’s signature requirements for 2016 with InstallShield’s new support for SHA-256 certificates and digests. Automation Interface for Advanced UI and Suite/Advanced UI Projects – Support continuous integration practices and reduce manual editing by leveraging automation scripts to add files and features, change installation properties, and initiate builds for InstallShield MSI, InstallScript, Advanced UI and Suite/Advanced UI projects. Creating world-class installers doesn’t happen by accident. Today’s computing environments are complex… and so are installation requirements. Software companies serious about providing reliable, professional installations for their applications trust InstallShield to handle this complexity.